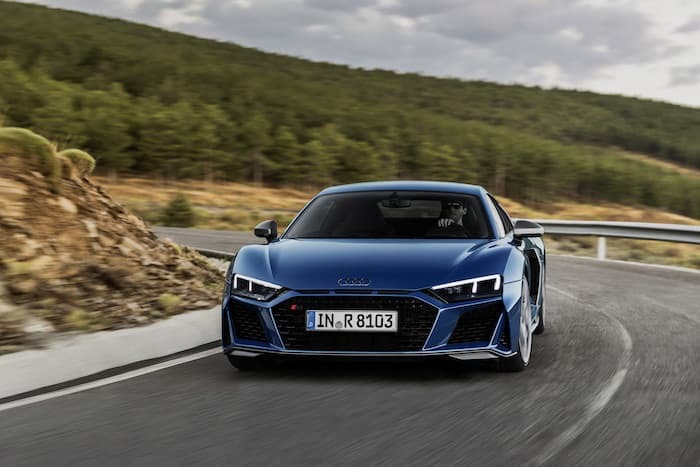 Audi has released photos and details on their updated Audi R8 supercar, the car has had a number of design changes and is the most powerful R8 to date. 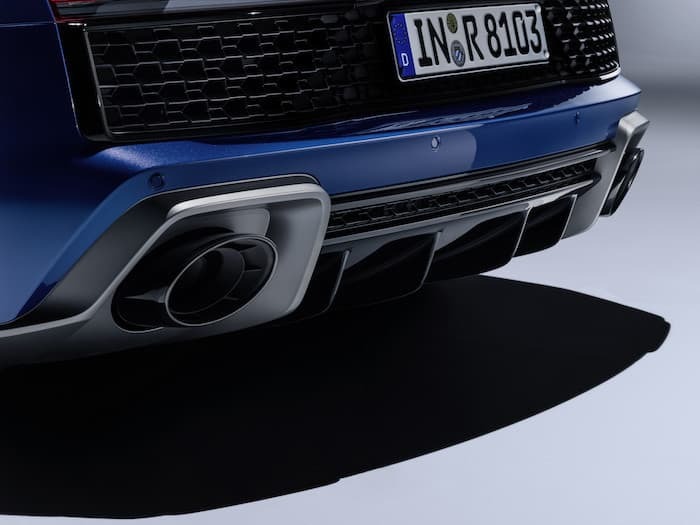 There are a number of design changes to the R8, this includes new oval exhaust which are now black and a number of other design changes, it looks even more impressive than the previous car. The honed character of the new R8 models also becomes clear visually. The Singleframe radiator grille has a wider, flatter line. Thick bars divide up the large air inlets. Flat slits in the hood are reminiscent of the Audi Ur-quattro brand icon. The new front splitter is now wider, as is the striking low-set air vent grille at the rear. The grille rounds off the diffuser that extends quite some way up. 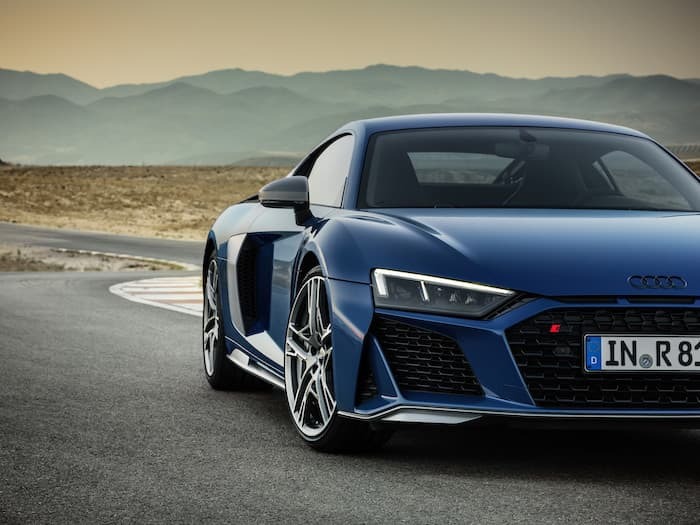 All of which underlines the sporty look of the Audi R8. In the engine compartment the air filter is situated under a new, three-part cover – available in a choice of plastic or carbon fiber. 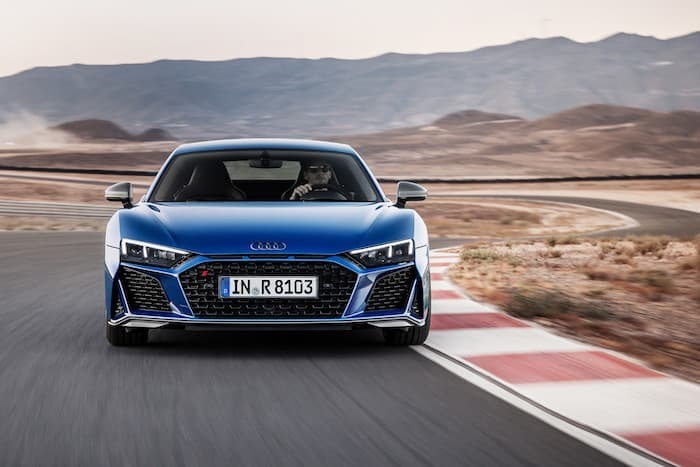 The new Audi R8 will go on sale in Germany and other countries in Europe in the first quarter of 2019, you can find out more details over at Audi at the link below.